We expect Christmas season to be a time of happiness and celebration. Sadly, it is also a time of grief and disappointment to many. We mourn the loss of loved ones, and the tragedy of “what might have been”. Thankfully, we have hope. Our pain and grief will have an end. God has not forgotten us. One of the popular Christmas carols was born out of great tragedy. The American poet, Henry Wadsworth Longfellow, lived in Massachusetts during the time of the American Civil War. Longfellow’s personal tragedy was combined with the national tragedy during this war: his wife was killed during an accidental fire at their house, leaving Longfellow himself badly burned. In addition to this, his oldest son had gone off to war and returned severely wounded. Specific details are here. Jesus came in the middle of the night as a helpless child. 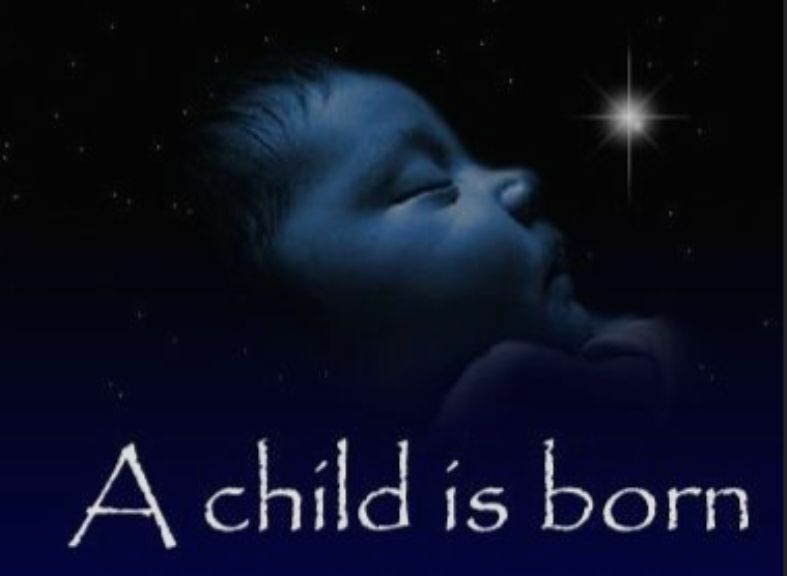 To the world, God was born a poor child, not in a palace, but in a feeding trough, among livestock, on dirt and straw. Instead of conceived by God, they saw a shameful pregnancy. Instead of the Son of God, the World saw him as illegitimate. Only Joseph, a poor carpenter, helped Mary through the pain of Jesus’ birth. She did not lie on a clean bed. No servants or doctors attended young Mary. Her water and blood mixed with the manger dirt. Instead of gold and trumpet blasts, he arrived in poverty, surrounded by manure. Heaven sang, but beyond a very few peasants, no one heard. His first visitors were shepherds, who were of the lowest social cast of the time, men who were not deemed fit for entry into the Temple. Mary and Joseph raised Jesus in Galilee, a remote backwater of Judea, which itself was a remote conquered territory of the Roman Empire. He was the adopted son of a carpenter. To the world, God incarnate was a nobody from nowhere. When this apparent nobody left to fulfill his purpose on Earth, he surrounded himself with uneducated fishermen. At the height of his ministry, he shared wine in fellowship with prostitutes, tax collectors and fishermen. His acquaintances cannot be understated – tax collectors were vermin. They were corrupt traitors who squeezed the wealth from their fellow countrymen on behalf of a pagan conqueror. Jesus quickly made enemies of the important Jewish religious and legal leaders – the Pharisees and Sadducees. He spent his time in the countryside and villages teaching commoners, healing the sick, and washing the feet of the fishermen and tax collectors who followed him. He talked with prostitutes and gentiles. Jesus Christ demonstrated that he did not come to conquer the rebellious heart of man, but rather he came as a humble servant to lay down his life for the rebellious sons of Adam and fallen daughters of Eve. Along the way, he taught the heart of God’s law, cared for the poor and sick, displayed God’s wrath against the proud, changed the face of mankind, and performed countless miracles for those who placed their faith in him. After being humiliated and savagely slaughtered, he proved his divine authority by defeating death. He rose from the dead, demonstrating also that he paid the price of sin for all who would accept his sacrifice – all while being a servant of his Father’s will. God came into His creation to serve and to die for those who rebelled against Him, to satisfy His law, so that we could live in the eternal presence of our creator and escape the penalty of our fallen nature. Jesus completely and humbly poured himself out for those who did not deserve it. Jesus changed the face of humanity and defeated death and sin, all as a nobody from nowhere. Christ’s time on Earth was a miraculous demonstration of love, compassion, grace, and justice intertwined. (Eph. 5:1; Phil. 2:1-3.) Jesus changed the course of history and changes our eternal destination. God’s ways are not the ways of the world, yet God calls us to his table, to be his family, and to act like Him through the strength of his Holy Spirit. The birth of Christ will always be the foremost and greatest miracle for mankind. The Great rule of conduct for us, in regard to foreign Nations is in extending our commercial relations to have with them as little political connection as possible. So far as we have already formed engagements let them be fulfilled, with perfect good faith. Here let us stop. . . .
‘Tis our true policy to steer clear of permanent Alliances, with any portion of the foreign world. So far, I mean, as we are now at liberty to do it, for let me not be understood as capable of patronizing infidelity to existing engagements (I hold the maxim no less applicable to public than to private affairs, that honesty is always the best policy). I repeat it therefore, let those engagements be observed in their genuine sense. But in my opinion, it is unnecessary and would be unwise to extend them. I’m a former Airborne Ranger. My first full-time job after college was as a rifle platoon leader in the 82d Airborne. As readers of this blog know, I’m also a believer in the fundamental truths of Christianity: sola Christa, sola fide, sola scriptura, sola gratia, and Soli Deo gloria. Accordingly, I’m no fan of the Islamic Republic of Iran and believe the world would be a much better place if it ceased to exist. Iran is economically, politically, technologically, and morally a decrepit nation-state. It’s a repressive regime and their Islamic-political leadership is openly anti-semitic. Their leadership is deluded and dangerous. In contrast, I like Ron Paul. I dismissed him last election cycle because of his outspoken criticism of the Iraq war. Now, four years later with the blood of our soldiers paying the price to establish Islamic regimes in Iraq and Afghanistan, insane levels of federal debt with no relief in sight, and spiraling western economies, I find myself much more open to criticism of those wars. What’s surprised me is how hostile my colleagues on the right are to Paul’s utter disinterest to continuing our mideast war policies and the apparent anger over his refusal to entertain a preemptive war against Iran to stop it from becoming a nuclear state. Although dangerous, Iran is not the greatest strategic threat to the United States. Not even close. Its military is third-rate, if that. To the extent Iran is within reach of nuclear warheads, however, North Korea has nukes and a formidable army. Today, it is more unstable than ever. Unstable Pakistan has nukes, as do the Russians and Chinese. Turkey has nuclear technology and likely warheads and is increasingly trending itself away from US interests and toward political Islam. In comparison to these military threats, Iran is a basket case. Iran is also not a global “leader” of international terrorism. It’s a terrorist state, but there are dozens of such. Iran’s Persian ethnicity in general and brand of Shia Islam in particular is not popular throughout the Islamic world, to include throughout most of the mid-East. Iran is not the primary or even a primary source for inspiring international Jihad. Our “ally”, the Kingdom of Saudi Arabia exports the dangerous Wahhabism Islam, built the Pakistani madrassa system and is the majority financier for Hamas. Saudis started al-Qaeda, and 15 of the 19 attackers on 9/11 were Saudi citizens. Bin Laden was a Saudi. Saudi’s are the heart of Arabia. They are neither fans nor allies of the Persian Iranians. Our “ally” Saudi Arabia is much more dangerous when it comes to global terrorism. The Iranian issue is not, however, really about Iran. Iran is about Israel, supposedly. The argument is that a nuclear Iran would launch a nuclear weapon on Israel. There are several problems with that claim though, particularly the facts that Israel possesses hundreds of nuclear weapons and several means for delivering them over all of Iran. Israel has one of the best armies and top air force in the world. It has for a long time, which is why the Six Day War lasted days. Further, Israel’s narrow borders are filled with millions of Muslims and numerous Islamic holy sites. I’ve read some claim that Iran would welcome Israel’s nuclear retaliation, that the destruction of Iran would be a national martyrdom of sorts. If Iran wanted martyrdom, they’ve had decades to attack Israel, but have chosen instead asymmetrical means, entirely for purposes of avoiding the consequences of overtly confronting Israel. Put simply, when confronted by Isreal’s superior strength, for decades Iran has acted like a rational state, even if it’s rhetoric has often been irrational. While an Iranian nuclear attack would be theoretically possible, citing relying upon that risk to dimiss Paul misses a key point and an important part of Paul’s policy. Israel is an independent nation with a highly sophisticated and skilled military. Paul correctly charges that we should get out of their way and “allow” them to protect themselves as they believe appropriate. As Iranian nuclear research facilities continue to spontaneously combust and top nuclear scientists meet sudden and tragic ends, one cannot help but suspect the Mossad. I believe Israel could defend herself quite well if we allow them the same autonomy that we ourselves expect (and practice) worldwide. Equally important, we simply cannot afford another prolonged military engagement that is not critical to our security. We are living grossly beyond our means and destined to quickly become the latest republic in history to bankrupt itself. Further, even if we avoid a complete financial and corresponding national collapse, we are grossly encumbering our children’s generation. We are racking up substantial debt for our children to pay. You think Greece is bad? The German socialist sugar daddies are certainly not going to bail us out. The US needs to immediately contract federal spending in all areas, to include defense and nation building, particularly nation building for cultures that fundamentally reject our ideas of western liberalism and human rights. We need to end welfare and warfare largesse. We simply cannot afford not to. And we simply cannot balance our books without reducing military expenditures, along with all the other expenditures. Paul is the only candidate that has taken on spending and an immoral fiscal policy and made those issues the center of his campaign. Last Saturday, we visited Christmas Town at the Creation Museum. This all volunteer production by Answers in Genesis was fantastic – fun, interesting, and well planned. Our kids particularly enjoyed it. True to the AiG brand, the fun is blended with God honoring content. It’s the first time I’ve watched a live manger scene coupled with an archeologist explaining the circumstances surrounding Christ’s birth and the evidences for believing the Bible. The lights display is beautiful. The presentations and shows are entertaining and true to Scripture, with one exception that was glaring to our southern sensibilities – the 27 degree Northern Kentucky weather once the sun went down. Many shows are, however, inside, and even in the arctic-Bethlehem outside, there are fires, heaters and lots of hot chocolate with which to keep warm. Christmas Town is well worth the trip. Featuring a live nativity, dazzling lights, and live dramas, Christmas Town is becoming an annual tradition for families all across the region (17,000 visitors came in 2009 and 22,000 in 2010). All of the wonderfully made presentations are free and there were substantial discounts on AiG products being offered for sale. See schedule here.